There is an Avis desk at the Palazzo, so we were able to pick up our rental car at the hotel, which was super convenient. 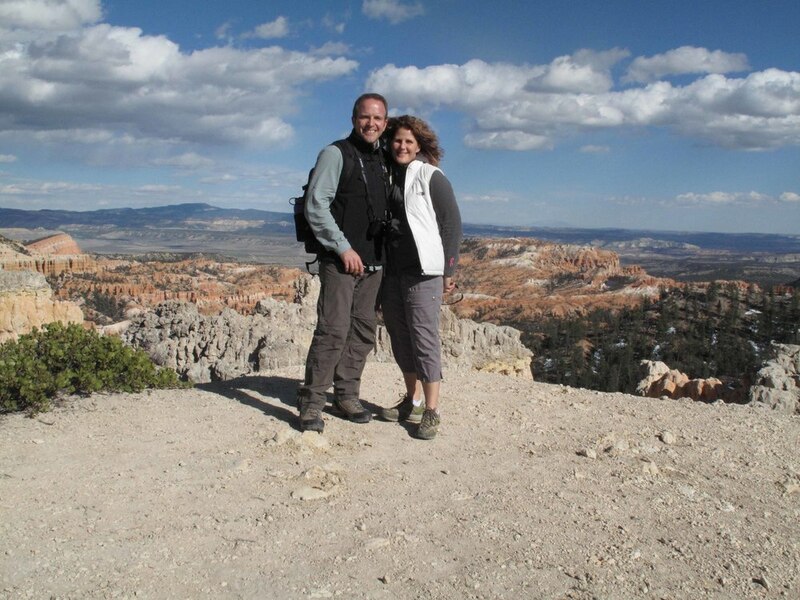 We decided to drive to the farthest destination on our trip first – Bryce Canyon. Bryce Canyon is in Bryce City, Utah which is approximately 250 miles north east of Las Vegas. We got to Bryce City around 4pm… something we didn’t realize before we started is that Utah is on Mountain Standard Time, which is only 2 hours behind Easter Standard Time… even though it was only a 1 hour difference, 3 time zones in 2 days threw us off a bit! Before going to the hotel we went to the park… we were so excited to see Bryce Canyon and were not disappointed… Bryce Canyon is full of colorful rock formations, greenery, peeks, valleys, and wildlife! There is a $30 fee per vehicle to enter the park and gives access for 7 days. There are also passes available for longer amounts of time. We took a quick 1-hour hike and headed to the hotel. We stayed at the Best Western Grand Hotel, which is about 2 miles from the Bryce Canyon National Park entrance. There are 2 Best Westerns in Bryce City which are across the street from each other. Guests are welcome to use the amenities of both hotels. Utah is on Mountain Standard Time which is only 2 hours behind Eastern Standard Time. It takes about 5 hours to get from Las Vegas to Bryce City. Bryce City has limited food options so it may make sense to stop along the way for supplies.